Big Forks: This Chicago-based, family-run company slings handcrafted sausages made with all natural pork and chicken. Plus hardwood-smoked bacon! Black Pearl Platinum Brand: Out of Pellston, Michigan, Black Pearl specializes in meat snacks that are high protein, low carb, low fat, and shelf-stable. Brunkow Cheese: Hailing from the Dairy State, Brunkow Cheese has been an artisanal cheesemaking organization since 1899. Burton's Maplewood Farm: Expect 100% pure Grade A and Grade B maple syrup from this Medora, Indiana-based purveyor, along with uncommon syrup varieties like bourbon barrel-aged maple syrup. D'Marie: Originated as a corporate catering company, this Ohio-based company has grown to become a gourmet packaged foods purveyor, which includes popular items like their frappe vino, aka wine slushy. Dia de los Tamales: Renowned for their contemporary Mexican street food, Chicago's very own Dia de los Tamales makes chef-driven tamales out of their Pilsen storefront. Dip'n Good Dips: Stock up on gourmet dips, rubs, and seasonings, all preservative-free, from this Rockford staple. Flaherty's - The Irish Candy Co.: The holidays are prime candy season, after all. So hit up Flaherty's to get your fill of Irish toffee, peanut brittle, and coconut peanut brittle, all made with recipes hailing from Galway, Ireland, via Joy and Dennis Flaherty. Frontier Soups: The holidays are also soup season, considering the inescapable chill in the air. It's an apt excuse to visit Frontier for dried soup mixes to help get you through winter. Gardner's Wisconsin Cheese & Sausage: More cheese! More sausage! 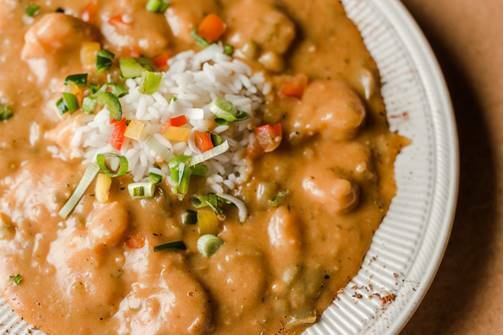 Because you can never have enough comfort food from Wisconsin. Gourmet Blends: The name may sound modest and common, but the pure balsamic vinegar barrel-aged by producers in Modena, Italy, are anything but. 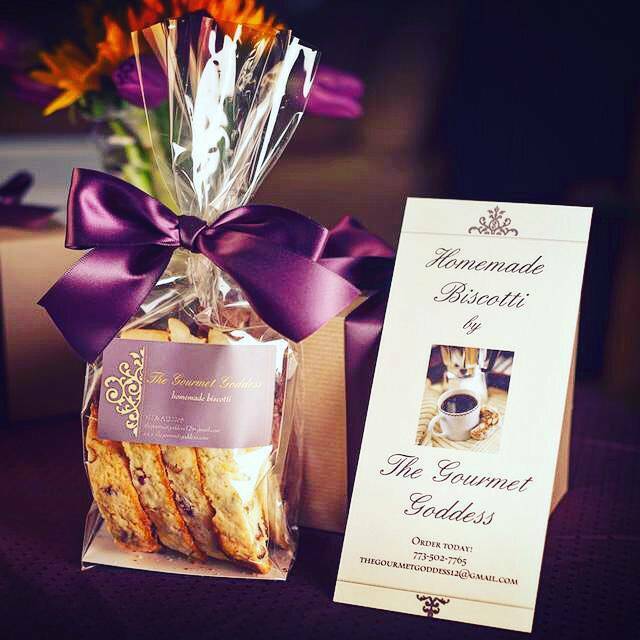 The Gourmet Goddess: It's all about the gourmet biscotti, which would make a nice fixture on any holiday cookie plate. 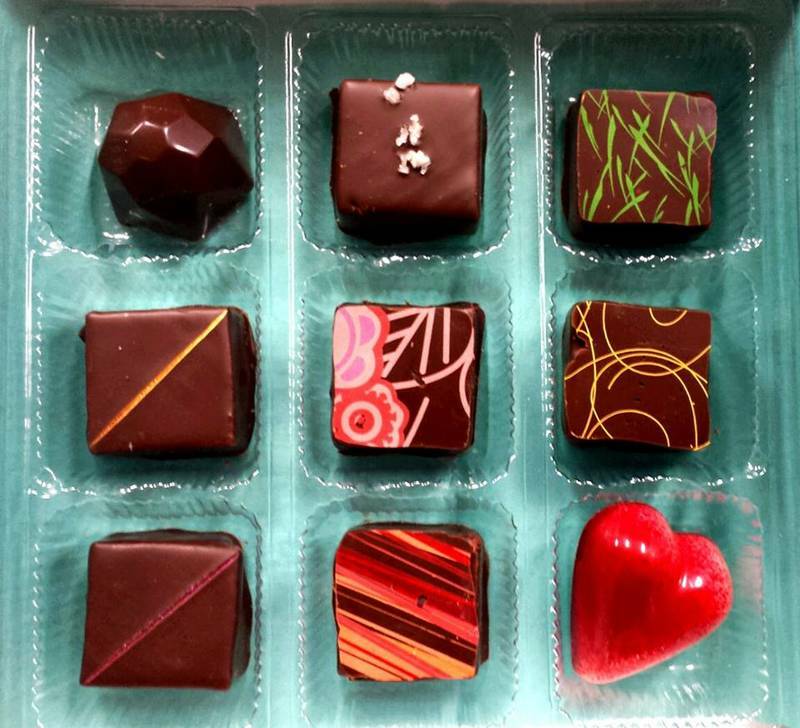 Gourmet Goodies: Ditto these Belgian chocolates. Grown Up Kid Stuff: All-natural chocolate sauces are the name of the game at Grown Up Kid Stuff. Holiday Fried Pecans: 'Nuff said. Basically, the end all-be all of hearty snacking. Jawant's Kitchen: Based in Brampton, Ohio, Jawant's focuses on 100% natural Indian spice blends. Liven up your home pantry by picking up a few. JD's Salsa in Seconds: The salsa seasoning from this Staten Island-based company is used to make fresh salsa, dips, and guacamole. Jo Snow Syrups: A regular fixture at local markets and events, and rightfully so, Jo Snow Syrups is all about the hand-crafted syrups in offbeat flavors like cardamom-rose water and fig-vanilla-black pepper. Add a splash to your coffee or cocktail. 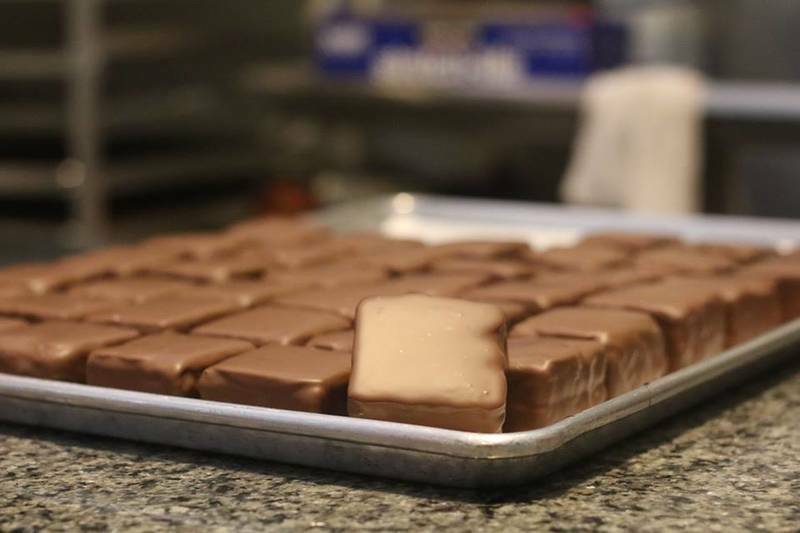 Katherine Anne Confections: With a storefront in Logan Square, this chocolate staple specializes in truffles, marshmallows, and caramels. Mayana Chocolate: Another chocolatier to hit up is this Wisconsin-based purveyor, whose luxury chocolates are award-winning. 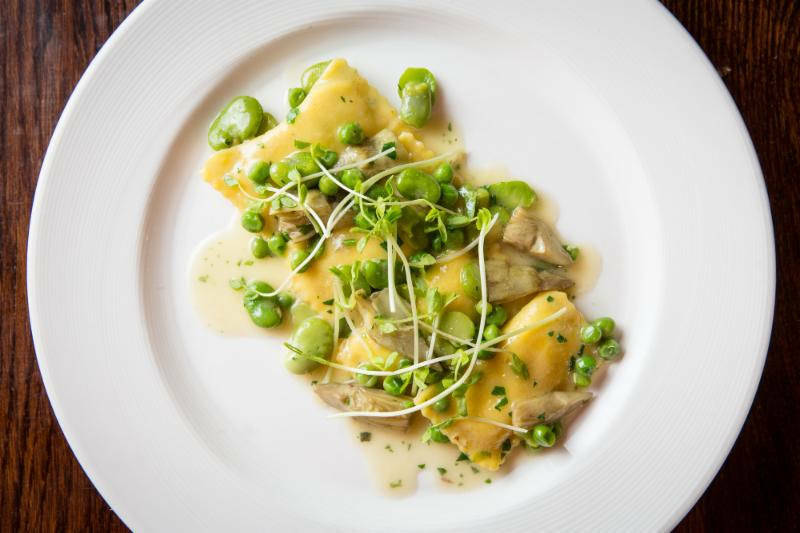 Pasta Paponne: Go savory with any of the gourmet flavored pasta varieties from this Chicago shop. Puffs of Doom: Both sweet and savory cream puffs are ready and available from this whimsical outlet. Rare Bird Preserves: Any of the seasonally inspired fruit preserves and curds would make a nice addition to your home larder. River Valley Kitchens: Visit this Burlington, Wisconsin-based vendor for all sorts of handcrafted and artisanal foods. Senteamental Moods: As the name suggests, it's all about the high-end teas from these folks. Sheekar Delights: Go nuts with the gourmet baklava from Sheekar Delights. Smith & Donovan Confections: The desserts from Chicago-based Smith & Donovan are as beautiful and artistic as they are delicious. Spencer's Jolly Posh Foods: Fine British and Irish foods are the name of the game at Spencer's. Stu's Kitchen: Hailing from Omaha, Nebraska, Stu's Kitchen hones in on Bloody Mary mix, pickles, and other apt gourmet gifts. Tiddleywink Toffee: Thin slivers of English toffee get coated in chocolate and other toppings courtesy of this Munster, Indiana, institution. Tonguespank Spice Company: Take it easy with these fearsome spices, which are derived from all over the globe. This Chicago-based vendor also features spirits. Wind Ridge Herb Farm: This all-natural Illinois farm has you covered in the herb department. Chicago chocolatier Katherine Duncan uses local cream, organic sugar, local fruits and herbs to make hand-dipped truffles, soft honey caramels, and pillowy artisanal marshmallows. She also teaches classes for groups. This counter service Pilsen eatery offers a hip, modern approach to the traditional tamale, featuring a menu of unconventional flavors along with a line of housemade hot sauces.